Trying to match the intensity and sonic quality of a commercial release is no easy task. It’s incredibly challenging, whether you’re an experienced professional or trying to mix for the first time. Using reference tracks is an essential technique when you’re pursuing your best material yet. 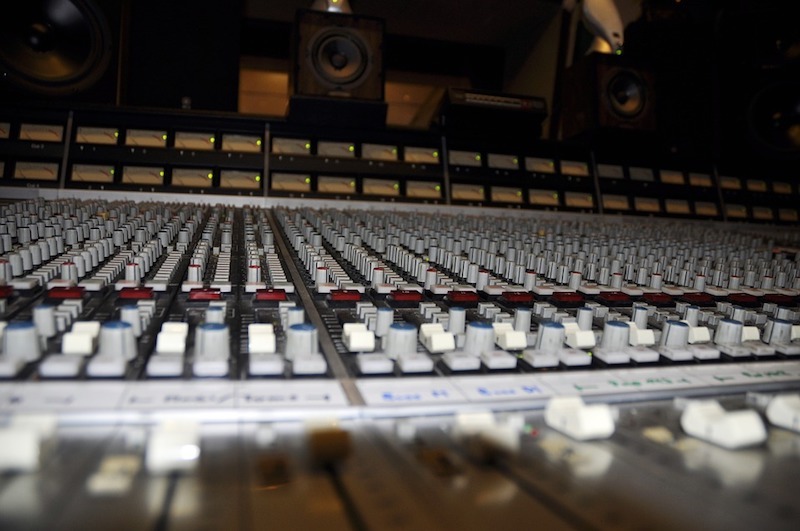 The following are a few of the most effective practices when utilizing reference tracks! Artist/engineer communication is so, so important. You might have a selection of your own reference tracks, which is great! But your references will be of little use if they’re the aesthetic opposite of what your artist wants. Most of the time, musicians will have an idea of the overall tonality they’re going for. Asking them to provide a selection of material they enjoy sonically can give you a better idea of how to mix their project. Opening up a creative dialogue not only ensures they’ll be happier with the end result, but it also develops a rapport. If the artist trusts you, they’ll be more open to your decisions and input. So, ask your artist for reference tracks! Talk to them about what sound or sounds they like in each song, and how it might be incorporated into their own work. It’s a surefire way to make them happy in the long run. There are ultimately two ways to take advantage of reference tracks, and that’s listening to the finer details of a mix versus listening to the overall quality of the entire mix. Detail-oriented listening involves breaking the reference down into its constituent parts. This might mean hyper-focusing on a single mix element, such as the kick drum. Is it round and thumpy, or thinner and punchy? How was it EQ-ed or compressed? If I love my reference’s kick drum, how can I make mine sound similar to it? What you choose to focus on will be dictated by the project or even your artist’s input. When listening for the big picture, you’re paying attention to the sonic qualities of the entire mix. Is it bright and open, or dark and focused? What’s the overall balance like, and which instrument carries the arrangement? How much reverb and delay is used, and what are the rest of the effect levels like? Your observations about the overall mix will give you perspective, while your detailed observations will help you make specific elements sound a certain way. Checking your mix on as many different devices as possible is always a good idea, and it’s also helpful to understand how your commercial reference tracks translate to different devices as well. …if your mix isn’t stacking up to your reference. There are countless factors dictating why a commercial release sounds the way it does, including the artists’ abilities, how/where it was recorded, mixed, and mastered (and by who! ), and everything else that contributes to a finished product. Working with independent artists on a budget, in a home studio, has certain limitations. This isn’t to say great results aren’t possible, because they are! But beating yourself up about not being able to make someone’s poorly recorded tracks sound like a #1 record is counterproductive. The goal shouldn’t be to replicate a reference exactly. Each project has its own life and its aesthetic will be evident as you get to work. Use reference tracks as a guideline, but don’t be upset if your work doesn’t always compare in a blind taste test! Reference tracks are used as a guideline while mixing. They can be supplied by the artist to demonstrate a desired aesthetic, or chosen by the mix engineer as a standard to go by. Using reference tracks can help us craft better balances, give us ideas for clever mixing tricks or effects, and generally help us get better overall mixes. Choosing a track you know well in the genre for which you’re mixing can be a tremendous help when determining how well your mix stacks up against finished projects. Reference tracks are especially useful for looking at the big picture. For instance, they can help us establish the overall tonality of a song, showing us whether ours is too bright or too dark. They’re also great for helping us set balances. For example, how does the vocal sit? Is the lead guitar too loud? Finally, they can show us good effect levels so we can avoid drowning a mix in reverb/delay. Once you’ve chosen a reference, or even several, for the project you’re working on, you can get to work knowing you have a safety net to keep you in check. Still, you don’t want to abuse reference tracks; the song you’re mixing should reveal its own aesthetic which you can highlight!